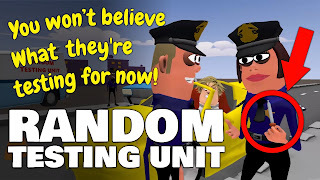 Before reading any further you should watch my animation below as the humour is generated through the initial premise. Once you know it, you can't un-know it. When you've seen it, read on to find out my process of creating the animation. After I had my initial idea, it only took me about three days to write my full script. At the time I was learning Muvizu, the low cost, 3D animation software that claims it's the easiest and fastest way to tell stories with animation. By that point I'd completed all the beginner tutorials and thought my new script would be an ideal first project. Should take about a week. In the end it took closer to two months. When I started I had a week to spare and could almost work on this full time but, as it turned out, it took me a few days to put together my characters and set in Muvizu, and then another couple of days to create my storyboards in Springboard. I Have to Storyboard This? In the past I typically haven't had to storyboard my own animation projects because it's just me working on the entire production. However, as I fall deeper down the hole of becoming a professional animator/filmmaker, I'm finding storyboards more and more important and useful. The Storyboard created with Springboard. For one thing, a complete storyboard gives you an end goal. You know exactly what you're working towards. 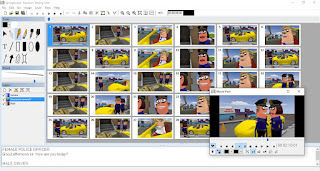 When I used to make my projects in GoAnimate, I'd start with open ended script ideas and made things up as I animated, until I felt I had a complete story. It was a fun way to work but I've never been able to replicate that in any other software. Everything you do has to count because there's just so much more effort in creating each scene on most other animation platforms. Once I had my storyboard I recorded all my voices. Yes that is me voicing every character with a little electronic pitch adjustment in Audacity. I know I'm not that great at character voices and lack variation in trying to make each character sound different but, I figure, if I keep trying I'll get better. With the voices done I was able to create an animatic of my storyboard. If you're not familiar an animatic is basically a slide show of each panel in the storyboard timed to the voices. It gives you a very good feel for how the final animation will play. When I began animating my storyboard, initially I was creating each shot in order. It was very slow going until it dawned on me (and this is no great revelation as film productions have done this for years) I had many scenes that used the exact same camera angle. It would be quicker to simply create a shot list of all the scenes using the same camera angle and create those in a single project file. For example, if you look at my storyboard (in the image above) you can see that panels 1, 5, 8 and 12 all are the same camera shot with the same characters in the same positions. I created all of these shots in one Muvizu project. This is the first time I've created an animation out of shot order and I can fully appreciate how much more efficient it is. Even though you're working on the same number of shots it feels much quicker animating a few shots at a time within one project file than animating one at a time over 28 project files. Everything was animated in Muvizu (obviously) however the only audio I used in Muvizu was the character voices so the auto lip sync would work. 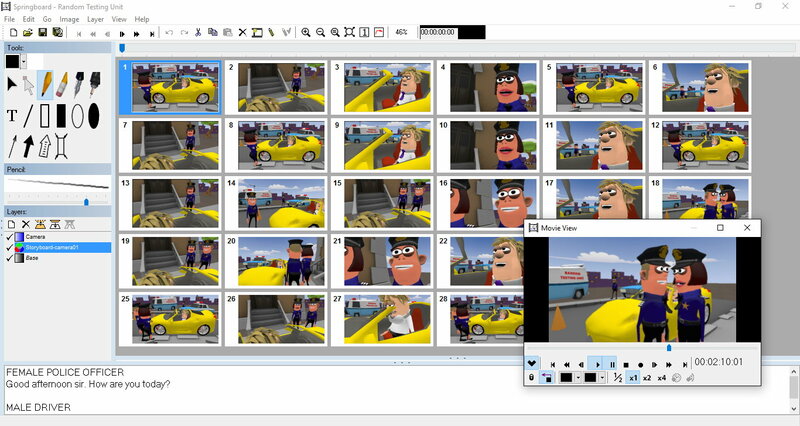 As I finished each group of scenes I exported them to MP4 video files. One particular scene of note is Scene 27 (the scene right near the end where the driver notices his newly expanded chest). It's the only scene where the camera actually pans down slightly when the driver sits down. In every other shot the camera is stationary. I'm pointing it out here because, to do this, I used the Muvizu Key frame plug-in which is an optional extra you can purchase that allows key framing of camera and prop animation but, unfortunately, not character animation. Storyboard mode in MoviePlus X6. I use Serif's MoviePlus X6 as my go to video editor, beginning by using Storyboard mode to literally place all my video files in order, so the sequence looked exactly like my actual storyboard. Doing this makes editing really quick. Once all the clips are in place you just click on each one and trim it for just the section you need. Much quicker than doing the same thing in Timeline mode. Did that Guy just Punch Through a Door? One problem Muvizu has is not being able to fine tune character actions like arm movements. 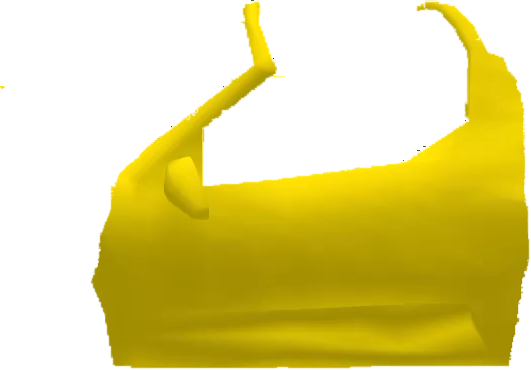 You're kind of stuck with the pre-animated movements. 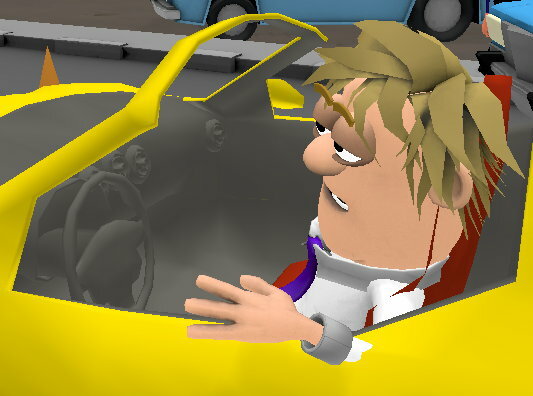 On several occasions my driver character waves his arms around and you see his arm literally emerge through the door panels of the car like he's some kind of ghost that can walk through walls. It didn't look right to move him over, so this wouldn't happen, as he'd be sitting on the car's central console. To fix the issue I created several PNG image file masks of the car's door and window frame, adding them as overlays onto the scenes in MoviePlus to hide the problem. This solution was fairly simple because of my stationary camera shots. Would have been much harder to hide if the problem occurred in any scene where the camera was panning or zooming. The Final Touches... Get a Mouse! From there I added end titles, music, city noise background audio and scene transitions, then exported my finished animation. One final note about Muvizu... I came very close to giving up on this animation because Muvizu's interface can be frustrating. If you plan on trying Muvizu yourself make sure you have a wired mouse or a very accurate and responsive wireless mouse. Muvizu relies on mouse input very heavily. A laptop track pad just won't do - particularly if your buttons are like mine and can't be pushed down at the same time. Overall I'm happy with the finished animation. Despite taking much longer than anticipated, I feel I really have a handle on animating with Muvizu and genuinely learned a lot from the process. It has definitely been worth the effort for a script that I feel is one of my better pieces of writing. From here I'm looking forward to animating again with Muvizu. Now I know what's involved it should be a much easier and fun process. Reading about the process of the production is the part of your work that I really do enjoy and glad that you take the time to tell of it. Brilliant idea for a script. I was wondering the whole time where it could possibly go---the ending was totally unpredictable. It was lots of fun to watch. 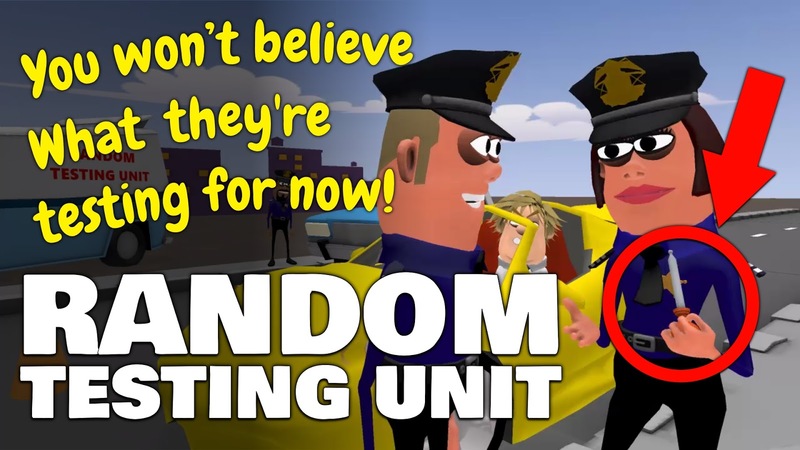 I actually don't remember what caused me to link Pregnancy Tests with Random Police tests but when I did, I knew it was an idea with plenty of potential. Particularly in this day and age where we have people who identify as gender neutral...and lots of discussion over discrimination, whether it be race, gender or something else. Glad you enjoyed it. The whole planning process and animation is really fascinating for me. It's good to know that you are spending time doing useful things such as this. Something that students from writing college papers can learn from. GoAnimate is easier to use and better suited to explainer videos. Whilst you could use Muvizu it doesn't have anywhere near as many dedicated props, backgrounds and characters designed specifically for explainer videos. 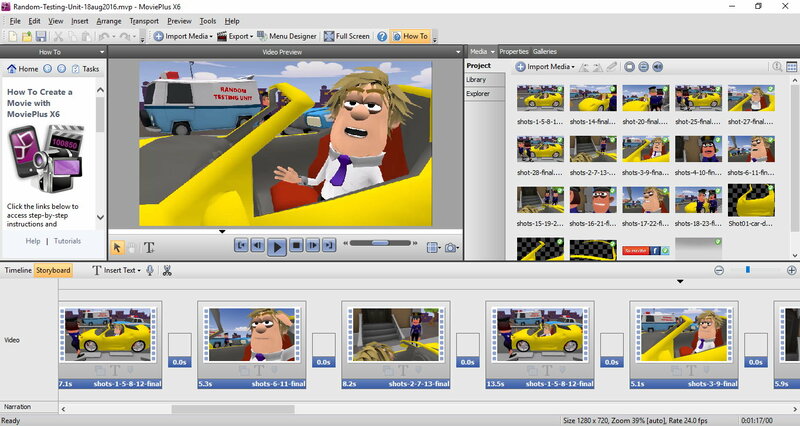 Plus GoAnimate allows you to make the entire video within one project file where as with Muvizu you'll need to create each scene separately and then combine all the scenes together using video editing software.